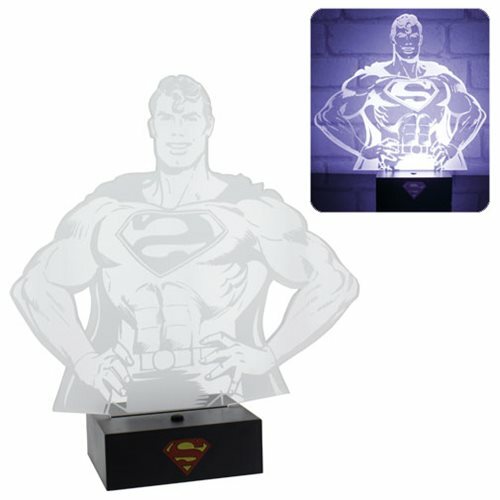 Check out this amazing Superman Hero Light! The Man of Steel will stand guard in your room and keep the bogeyman at bay. Operates on USB or battery power. Light measures just over 10-inches tall x 9 1/4-inches wide x 1/4-inch deep on a base that measures 4-inches x 3 1/8-inches. Ages 8 and up.